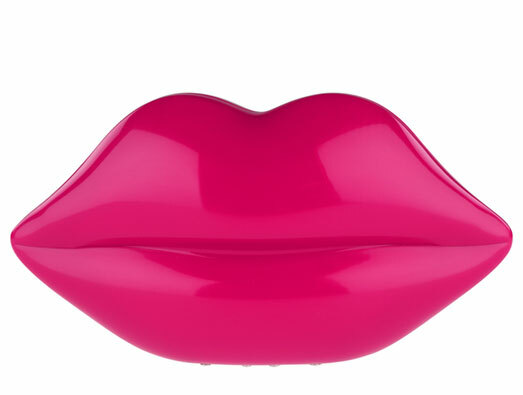 COOL: Lulu Guinness Lips | Everything is cool. You've seen these but not known where to get one, I know! Lulu’s been pretty good to me in the past. She let me interview her when she was ill in bed and I’ve stolen loads of bags off her PA, who I used to live with. Her clutches instantly make you more interesting than the girl next to you – even if you’re not, but if you’ve got one, you probably are. Win-Win! Anyway, if you want to meet Lulu, cos’ she’s pretty darn cool, I got the heads up last week on this rather cool POP UP shop off Carnaby Street on February 8th. She’s getting some celeb mates down too so it could be quite a memorable, girly girl toys-tastic day! I’m coining that, Lulu. It’s all in the name of Valentine’s Day and London Fashion Week, with specific Lips clutches as the only product on sale. All the money made will be donated to London College of Fashion to create bursaries to support students in their study of the historical and contemporary practice of fashion.